Description: After the success of the Nashville sit-in campaign, John Lewis is more committed than ever to changing the world through nonviolence - but as he and his fellow Freedom Riders board a bus into the vicious heart of the deep south, they will be tested like never before. Faced with beatings, police brutality, imprisonment, arson, and even murder, the young activists of the movement struggle with internal conflicts as well. But their courage will attract the notice of powerful allies, from Martin Luther King, Jr. to Attorney General Robert F. Kennedy... and once Lewis is elected chairman of the Student Nonviolent Coordinating Committee, this 23-year-old will be thrust into the national spotlight, becoming one of the "Big Six" leaders of the civil rights movement and a central figure in the landmark 1963 March on Washington for Jobs and Freedom. Review: While I enjoyed reading Book One of the March trilogy, I didn't learn anything new about the events covered in that volume. 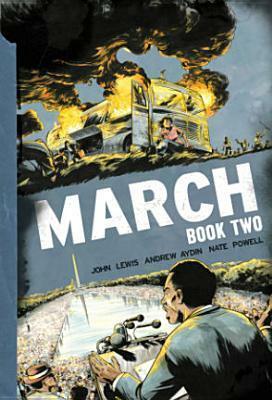 Book Two, though continues memorializing the civil rights movement, has a distinctly different tone. It is much darker as brutality and visceral hatred is on full display, but it also shows how the tensions within the movement of itself is starting to splinter and develop own separate factions. This second volume focuses on the dangerous freedom rides in 1961 as well as the monumental March on Washington in 1963. Continuing their nonviolent action meant facing potentially fatal consequences; Lewis and the freedom riders, for instance, all signed wills before they embarked on their historic ride, and Martin Luther King Jr. himself declined to participate. What I found particularly eye opening is how the politicians used the civil rights movement mainly for their own selves (ensuring votes, saving public face, etc) even if they may or may not agree with what the civil rights movement represented. The graphic illustrations powerfully captures the danger and tension in stunning cinematic spreads, which dramatically complement Lewis’ powerful story. There is no added melodrama in the story but real, raw, authentic account of history. The overlay of President Obama's inauguration with snapshot glimpses of the bloody, angry aftermath of the freedom rides in Montgomery, Alabama, makes you stop and reflect on the significance represented by Obama’s election and the sacrifices many made to achieve it. The story of the civil rights movement is told in several books and other mediums and sometimes in a legendary, mythologized tones. This graphic novel series keeps it grounded by people questioning their actions particularly with remaining true to the nonviolent movement versus taking action and resist, being a idealist like Dr. King or a realist like Malcolm X. 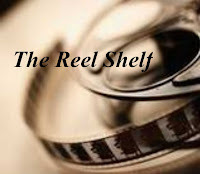 Both viewpoints are presented and credited. This is an incredibly important graphic memoir that is a must-read. Words of Caution: There is strong violence and the "n" word is used frequently and purposefully. Recommended for teens and adults. Description: By Fall 1963, the Civil Rights Movement is an undeniable keystone of the national conversation, and as chair of the Student Nonviolent Coordinating Committee, John Lewis is right in the thick of it. With the stakes continuing to rise, white supremacists intensify their opposition through government obstruction and civilian terrorist attacks, a supportive president is assassinated, and African-Americans across the South are still blatantly prohibited from voting. To carry out their nonviolent revolution, Lewis and an army of young activists launch a series of innovative projects, including the Freedom Vote, Mississippi Freedom Summer, and a pitched battle for the soul of the Democratic Party waged live on national television. But strategic disputes are deepening within the movement, even as 25-year-old John Lewis heads to Alabama to risk everything in a historic showdown that will shock the world. Review: This is the concluding volume in the critically acclaimed March graphic novel trilogy. The graphic novel opens with the heartbreaking and gut wrenching bombing of the Birmingham Baptist Church, where innocent children were murdered in the name of hatred and intolerance. The violence and tension among the activists in the civil rights movement are at an all time high. This graphic novel covers the Freedom Summer and President Johnson's eventual signing of the Voting Rights Act of 1965. Once again politics, protests, and marches are divided and their significance are explored in this volume. Opinions among the activists in the civil rights movement are varied. Many are rethinking of putting themselves in self-harm in marching is worth it. Others wonder if they should trust politicians who are only willing to meet them half way. There is a lot to take in and digest in this final volume and like the movement they cover in this graphic novel series the message of equal rights is long and hard journey that took immense sacrifices, time, devotion, and faith to succeed. While the series continues to shine the spotlight on President Obama's presidency as the light at the end of the tunnel, it is clear that we are far from ending the movement. This graphic novel series proves once again in the power of the people and the power to change. This is an essential read and bound to become a classic. I never even thought these were in graphic novel form! Oh what a great way to introduce some older kids who don't normally read to this era. John Lewis's novels have been in the #1 and #2 bestseller positions lately. As you know, I've just read #1. After reading your reviews, I will definitely read 2 and 3! I read all three of the books as they were published with the time in between so I think they lost a little of the impact on my life I expected. 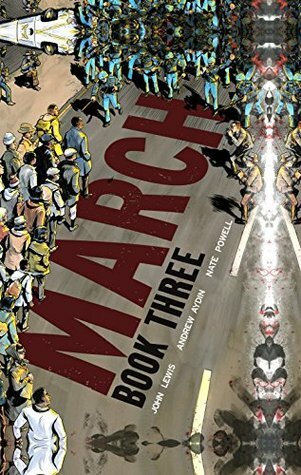 March, Book Three is the most memorable (maybe because I read it last) but also because of recent events in the news. I hope this book gets the recognition it deserves come Awards Day on January 23rd. I've read March One and you're right--it's good, but nothing new. I realize now it's setting the stage. I definitely plan on reading Two and Three. And soon!